*Meal Prep Guide: Discover How To Lose Weight, Spend Less Time In The Kitchen And Eat Healthier With Meal Prepping by Elizabeth Wells. Price: Free. Genre: Cookbooks, Food & Wine, Regional & International, European, Irish. Rated: 4.8 stars on 10 Reviews. 125 pages. ASIN: B079ZMDWBL. Posted on March 2, 2018 Author KibetCategories Free Kindle Prepper Books, prepper thrillerLeave a comment on Kindle Prepper Deals for Thursday! 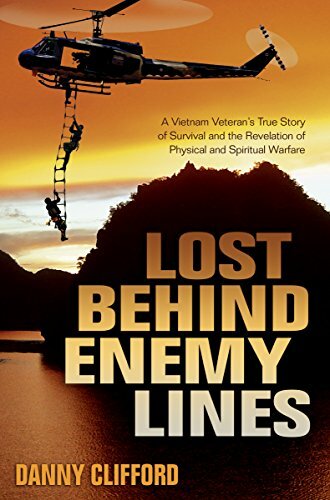 *Lost Behind Enemy Lines: A Vietnam Veteran’s True Story of Survival and the Revelation of Physical and Spiritual Warfare (Deal, Not Free) by Danny Clifford. Price: $4.99. Genre: Christian Non Fiction Deal, Sponsor, A Vietnam Veteran’s True Story of Survival. Rated: 5 stars on 1 Reviews. 65 pages. ASIN: B01CBOR6C2. Posted on February 24, 2018 Author KibetCategories Free Kindle Prepper Books, Survival, Vietnam Travel PrepperLeave a comment on Kindle prepper Deals for Friday! New Parent Survival Tips for Baby’s First Year: What Nobody Told Us So We Learned the Hard Way by John Morrow. Price: Free. Genre: Nonfiction, Parenting & Relationships, Parenting. Rated: 4.7 stars on 8 Reviews. 43 pages. ASIN: B00JEILH24. Posted on November 17, 2017 Author KibetCategories Prepper, SurvivalLeave a comment on Kindle Prepper Deals for Thursday!